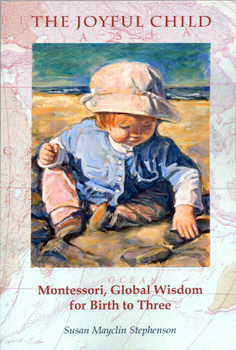 For more information on the history and practice of The Assistants to Infancy program that was begun by Dr. Montessori in Rome in 1947, see The Joyful Child: Montessori, Global Wisdom for Birth to Three. and other Montessori book suppliers. Begun under the direction of Dr. Maria Montessori, in Rome, Italy 1947, the Assistants to Infancy course has been offered in Italy, Japan, England, Australia, Sweden, and the USA. It is in great demand through out the world. Over and over it has been shown to provide children, during the earliest and most impressionable years, with a sense of security, a positive self-image, excellent social skills, habits of concentration and creativity, and a level of physical and intellectual development previous thought possible by only a fortunate few individuals. The course is given over two full summers with work in the intervening nine months which can be done at home while one continues with one's own working or teaching schedule. Included in the list of people who have taken the Assistants to Infancy course are parents, parents-to-be, grandparents, doctors, nurses, psychologists, Montessori teachers and teacher trainers, lactation, childbirth, and childcare professionals, and many others interested in human development in the formative years. There are many people training parents and professionals for caring for the child from birth to three. The courses listed here are directly connected to the original course begun by Dr. Montessori in Rome in 1947.